Is it legal to drive a right hand drive car(RHD) in America? There is nothing specifically in the FMVSS(Federal Motor Vehicle Safety Standards) that talks about the position of the driver, they just say that there must be standardized controls and displays. This is another one of those things I see repeated by people with no real knowledge of the US rules and regulations. People get the import laws, title, registration, individual state regulations mixed up. It all is confusing. 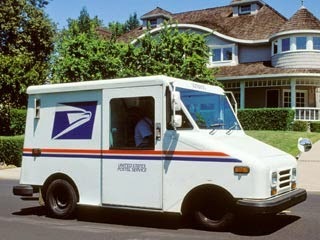 Some examples of vehicles manufactured in compliance with FMVSS are right hand drive garbage trucks, and mail cars.Vehicles over 25 years old are NHTSA exempt from Federal Motor Vehicle Safety Standards. Cars sold in the US are left hand drive because that is the way it has been done since Ford in 1908. "Early American motor vehicles, however, were right-hand drive, following the practice established by horse-drawn buggies. This changed in the early years of the 20th century: Ford changed to LHD production in 1908 with the Model T"
The NHTSA Import Eligibilty List, showing the stance on right hand drive cars. We found one specific call out for right hand drive vehicles in CHP 885.